World Land Trust (WLT) went wild at Camp Bestival with a tent full of creepy crawlies (made out of pipe cleaners!) and brilliant displays of wild animals. 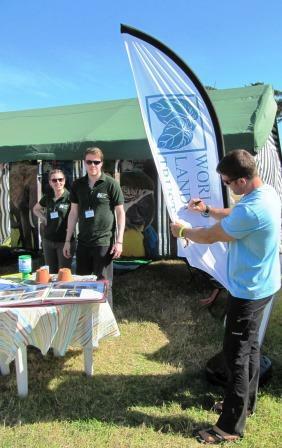 Steve Backshall, TV presenter and WLT fundraiser, was a star attraction at the family friendly festival in Dorset which took place at the end of July. The theme of the festival was Go Wild! and other highlights were performances by Bill Oddie (WLT Council member) and BBC Springwatch presenter, Michaela Strachan. At WLT’s stand children and families had a happy time making insects out of pipe cleaners, scratching their heads over WLT’s wildlife quiz competition and enjoying fun and games on a conservation theme. Tweets following the event described the WLT tent as inspiring and enjoyable. Steve performed on the main stage on Sunday and visited WLT’s stand on Saturday and Sunday, where several children were lucky enough to meet their hero. Iris Marshall (pictured) was one of four WLT quiz competition winners. 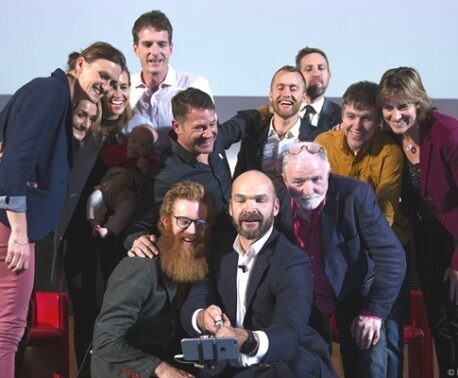 Other winners were Max Withey from Brighton, Kitty Sansom from Dorchester and five year old Oliver Gray from Essex. Oliver was enjoying his first Camp Bestival. “He loves wildlife and his favourite animal is a tiger,” said his parents. The winners received one of two books by WLT Trustee and children’s author Nicola Davies: either Gaia Warriors or A First Book of Nature. On Saturday Bill’s talk was packed out, and a big hit with everyone from small children to rather more senior citizens. A film about WLT was one of a selection of charity films shown on a big screen next to the main stage throughout the festival.